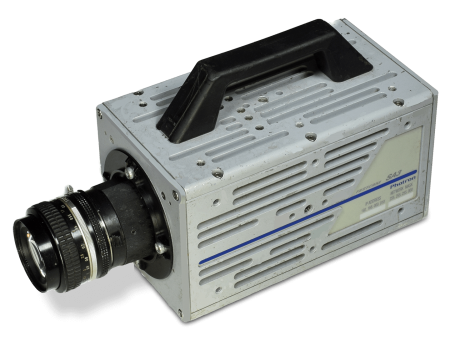 In use since 2008, the Photron SA3 has proved an extremely flexible and reliable camera covering all applications especially industry and diagnostics. It is still in high demand today. The SA3 differs in terms of construction from other Photron cameras in the fact it is not fan cooled but is a sealed unit. This makes it more suitable for wet/dusty environments. It is also tested to 100G and has been placed on board vehicles undergoing explosive testing. 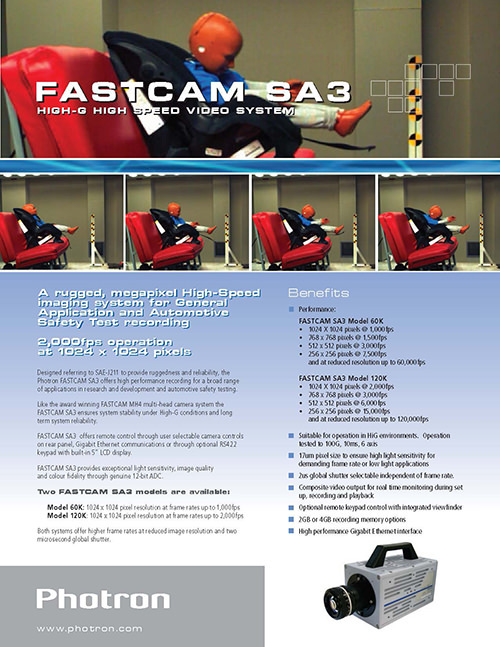 The SA3 is a mono camera and can film at high frame rates in poorly lit situations. It is capable of 2,000 full frames per second (fps) at 1024 x 1024 resolution and comes with the maximum 4GB memory. It is the camera of choice for industrial dry hires along with the new AX-100. It is ideal for production line fault finding and pick and place applications.